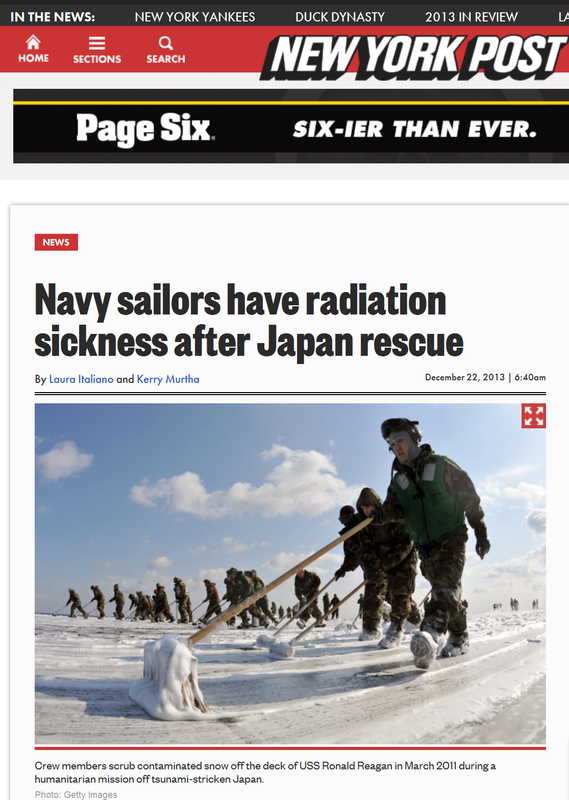 Great to see that the sick US Navy sailors who sailed into the Fukushima Plume are getting some mainstream media press now. Some of the shenanigans are almost laughable if they were not disgusting and dangerous, Navy states “We have a multimillion-dollar radiation-detection system, but ... it takes time to be set up and activated,” Cooper said. Sheesh, I mean come on...you are sailing to a multiple meltdown and you didn't think to maybe turn on the multi-million dollar radiation systems? How about a $450 Inspector Geiger? This is beyond criminal.